Enter in your Syslog server details. Click OK.
Also under the Monitor > Utilization, you get a summary of the cluster resources being used. 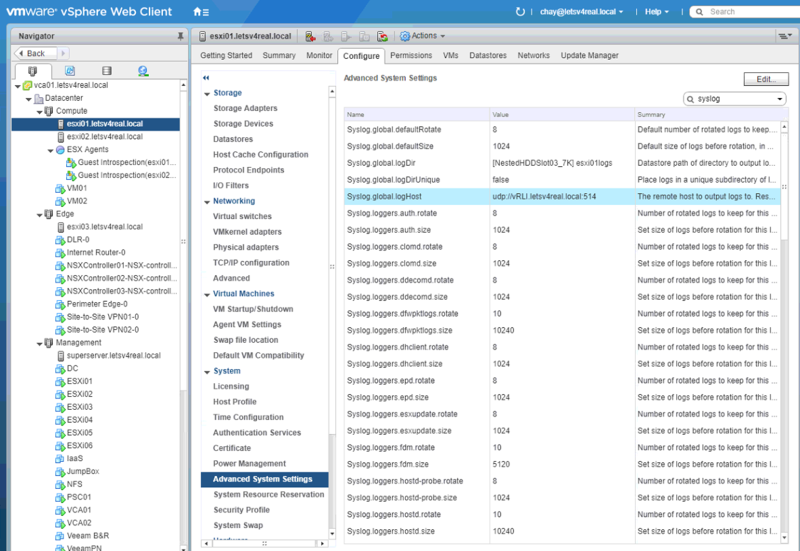 Also under Host Preparation, we can check the communication channel health of the clusters that are prepared for NSX by clicking Actions > Communication Channel Health. 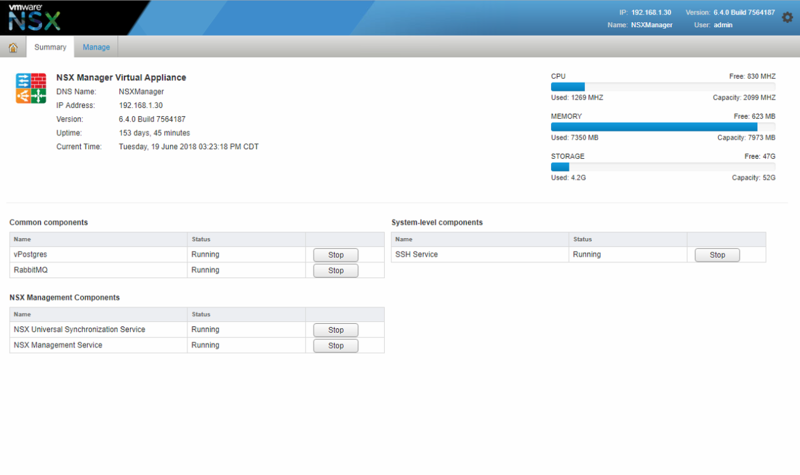 As of NSX 6.3, Activity Monitoring has been deprecated. VMware recommends using Endpoint Monitoring. So in this section I will be going over configuring endpoint monitoring. Endpoint monitoring enables you to be able to map specific processes inside the guest OS to the network connections the processes are using. In order to use Endpoint Monitoring, you must first have Guest Introspection services deployed in your environment and have the complete install of VMware tools installed on your VMs. Once that is done, navigate to Networking & Security > Tools > Endpoint Monitoring. Click Start Collecting Data. Select the Security Group you want to perform data collection on. Click OK.
Switch data collection on. Click OK.
Now we see that data collection is enabled. It can take some time for actual data to start appearing in the different sections, so give it some time. Below are a few screenshots of the various views and information that it provides. The summary gives us a overview of the number of VMs running and how many processes are generating traffic on those VMs. Under the VM Flows tab you can see various other traffic flows between a member in my security group and other devices.